Contract Acting Assistant Surgeon (civilian), U. S. Army. 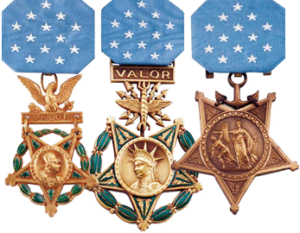 Places and dates: Battle of Bull Run, July 21, 1861; Patent Office Hospital, Washington, D.C., October 1861; Chattanooga, Tenn., following Battle of Chickamauga, September 1863; Prisoner of War, April 10, 1864-August 12, 1864, Richmond, Va.; Battle of Atlanta, September 1864. Entered service at: Louisville, Ky. Born: 26 November 1832, Oswego County, N.Y. 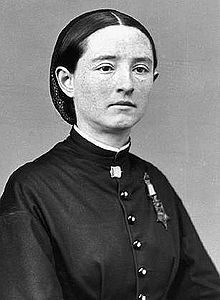 Whereas it appears from official reports that Dr. Mary E. Walker, a graduate of medicine, "has rendered valuable service to the Government, and her efforts have been earnest and untiring in a variety of ways," and that she was assigned to duty and served as an assistant surgeon in charge of female prisoners at Louisville, Ky., upon the recommendation of Major-Generals Sherman and Thomas, and faithfully served as contract surgeon in the service of the United States, and has devoted herself with much patriotic zeal to the sick and wounded soldiers, both in the field and hospitals, to the detriment of her own health, and has also endured hardships as a prisoner of war four months in a Southern prison while acting as contract surgeon; and Whereas by reason of her not being a commissioned officer in the military service, a brevet or honorary rank cannot, under existing laws, be conferred upon her; and Whereas in the opinion of the President an honorable recognition of her services and sufferings should be made: It is ordered, That a testimonial thereof shall be hereby made and given to the said Dr. Mary E. Walker, and that the usual medal of honor for meritorious services be given her. Given under my hand in the city of Washington, D.C., this 11th day of November, A.D. 1865.